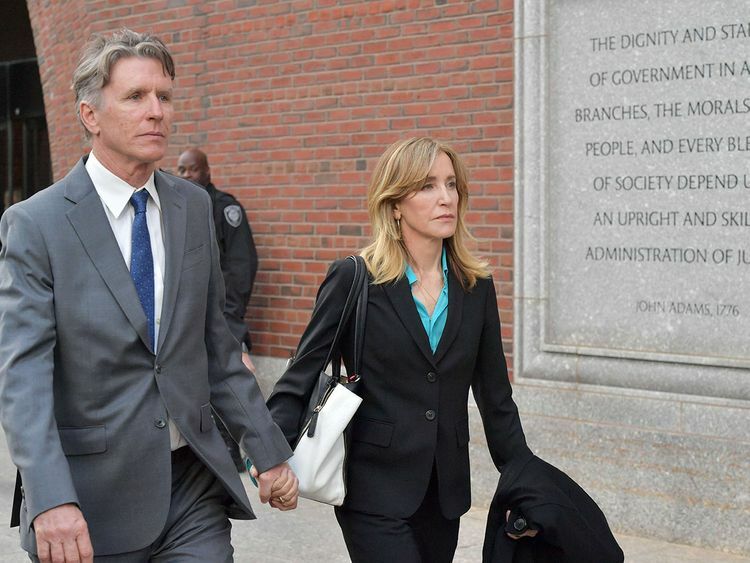 Boston: Surrounded by a mob of journalists, actresses Felicity Huffman and Lory Loughlin appeared in a Boston court on Wednesday to face charges in connection with a massive college admissions scam involving other celebrities and top industry CEOs. Huffman, known best for her role in the “Desperate Housewives” series, arrived without her equally famous husband, actor William H. Macy. Loughlin, known for her role on “Full House,” smiled and waved at her fans before entering the building. The ringleader behind the scam, William “Rick” Singer, who authorities say was paid about $25 million to bribe coaches and university administrators, has pleaded guilty and is cooperating with authorities. According to the indictment, she and Macy paid for an examiner to correct their daughter’s test answers through a phony donation to Singer’s foundation. They reportedly agreed in 2018 to repeat the scam for their youngest daughter, although this did not happen. Loughlin and her husband are accused of paying $500,000 in 2016 and 2017 to Singer’s foundation so that their two daughters could pose as rowers and join the University of Southern California (USC) crew team. Thanks to Singer’s cooperation, investigators have recordings of telephone conversations and e-mails exchanges with the actresses about the cheating.